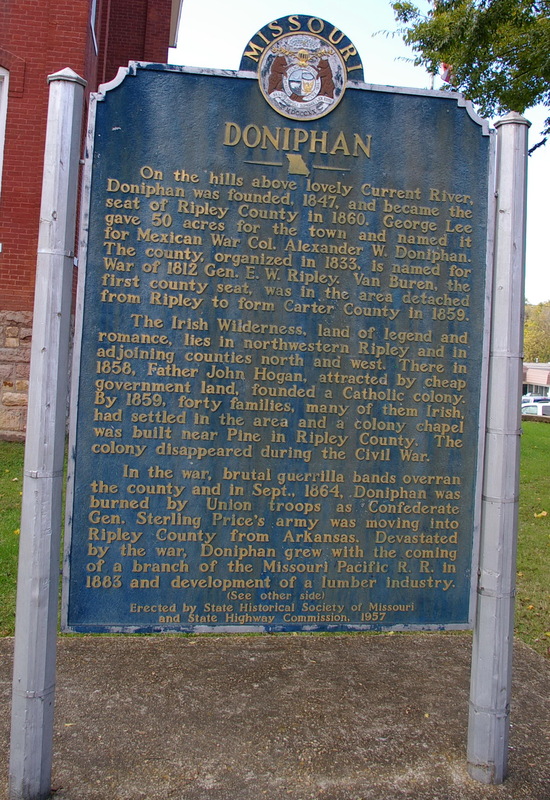 Ripley County is named for Eleazer Wheelock Ripley, who was a Brigadier General in the War of 1812. 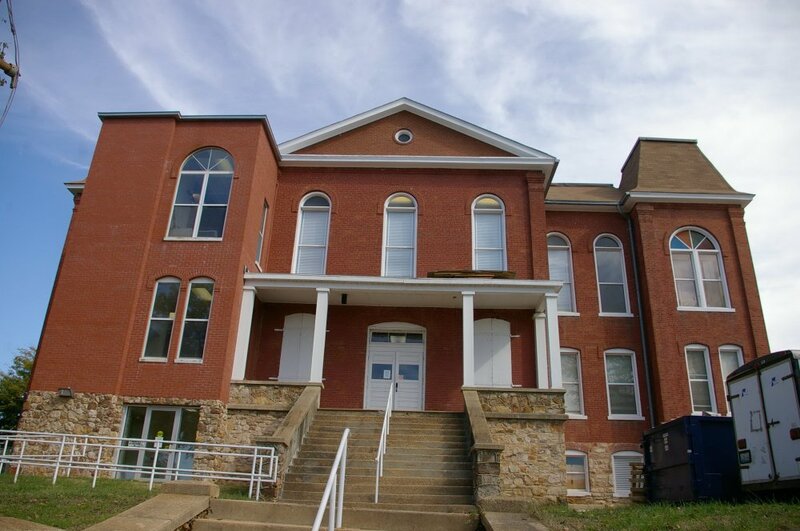 Description: The building faces east and is a two story red colored brick, stone and wood structure. The building is 128 feet by 95 feet. The east front has a central square brick tower rising three stories. At the entrance is a small portico supported by four wood columns. On the second story is a large arched window. Each corner of the building has a square brick tower with mansard roof. The base of the building is course stone. The superintendent was Judge McManus. During the 1930’s, the building was repaired under a Work Projects Administration project. 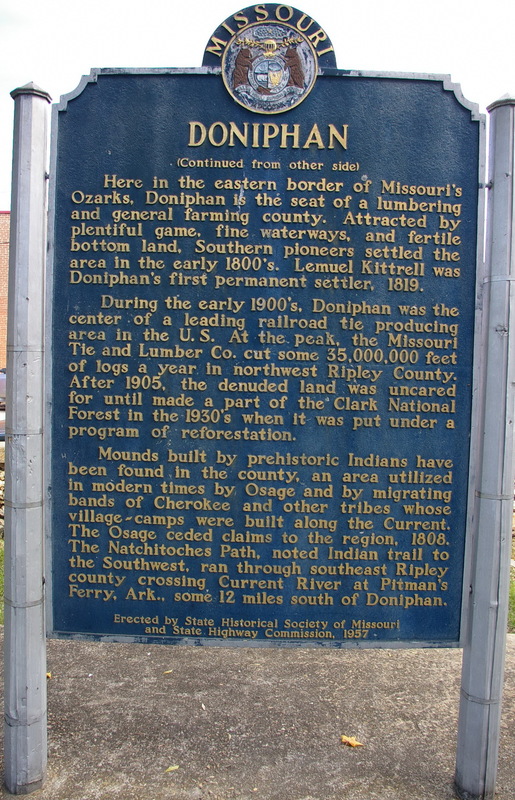 Extensive remodeling was done in 1976. 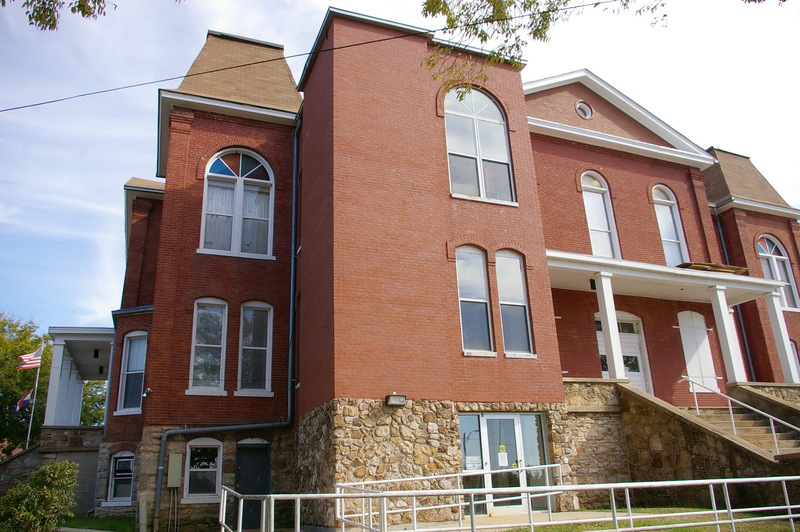 Note: The first courthouse was built in 1848. 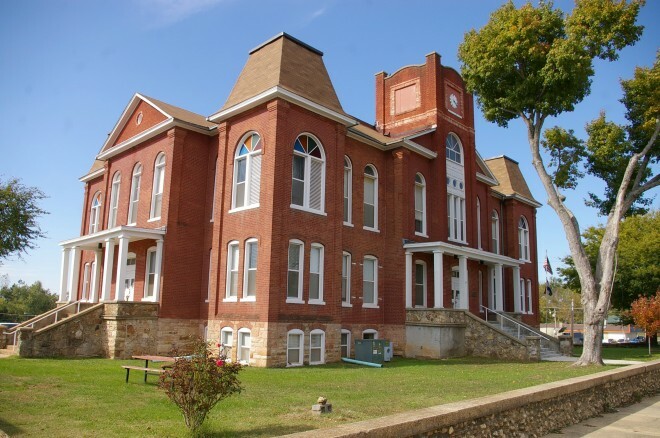 The second courthouse was built in 1871 and was destroyed on January 1, 1898. 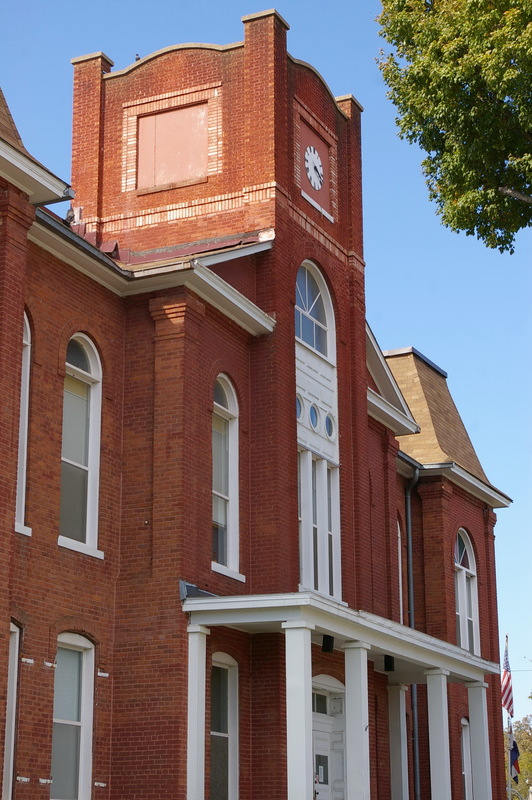 The present courthouse was constructed at a cost of $20,000. 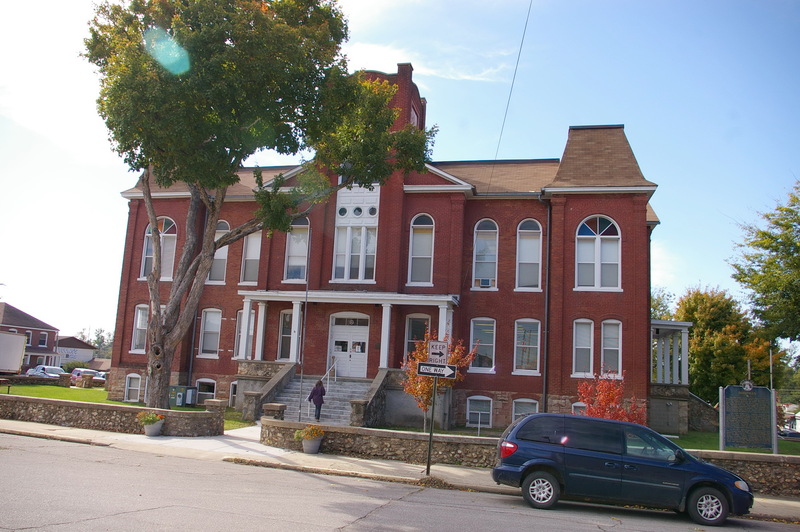 See: The architect, William F Schrage of Kansas City also designed courthouses in Howard County and Morgan County.